Small 4 Style: Aftershock London Opens in Dallas This Week! Aftershock London Opens in Dallas This Week! 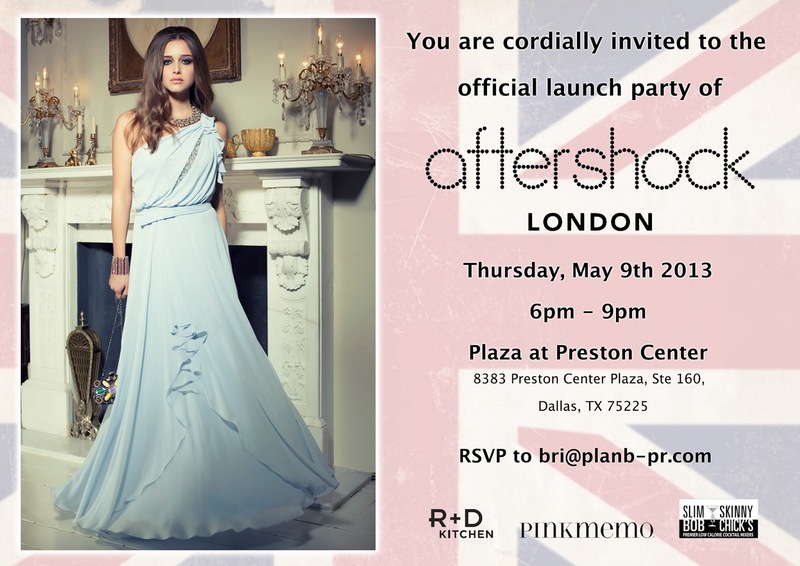 Aftershock London chose Dallas as the destination for its new U.S. flagship store! This British hot spot is known for its high-quality, fashion-forward casual wear. The new store is opening on May 10 at the Plaza at Preston Center, but you are invited to a special launch party on May 9! See the invitation below and make sure to RSVP. I am going to try to make it but since I have to study for finals, I may have to miss this fabulous event. It looks like a good one!